Clean the Pintado, removing the bones and skin. Cut it into small cubes and season with garlic and salt. Peel the manioc and cut it into cubes the same size as those of the fish. Put the chillis, tomatoes, onion, coriander, salt, pepper and manioc into a pan. Cover with hot water, put the lid on and cook for 15 minutes. 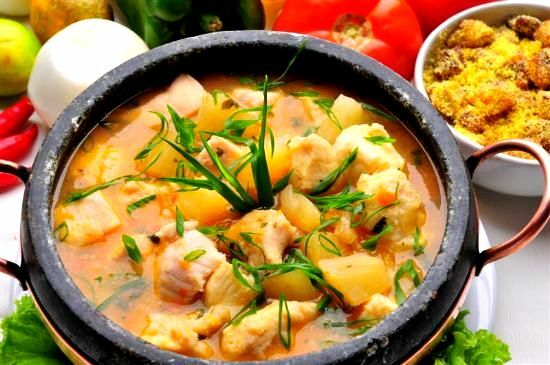 Serve with manioc meal in a fish broth.